If your office floors unfortunately end up looking like this, then get in touch with SJS Carpet Cleaners so that we can transform them into looking new again! 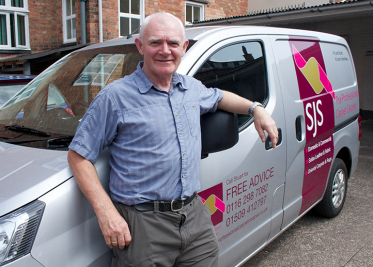 At SJS we offer commercial carpet cleaning all over Leicestershire as one of our services. This includes offices, factories and stairwells etc. We have specialist experience of working in different commercial sectors such as hotels, retailers and manufacturers. The patented Texatherm cleaning system which we use leaves carpets dry in 30 minutes, is safe on wool carpets and also disinfects. Your carpets will also be left at a ‘neutral base’, ensuring that there is a very limited possibility that they will stain again. If you’re based in Leicestershire and you could do with our help, get in touch to arrange a FREE consultation so that you are completely aware of the work involved, how long it will take and the cost to your business!